Is someone else controling Your (PERSONAL) Power? Does attaining your goals seem harder than it should be? If you feel challenged to achieve your desires, you may be constructing false obstacles to your objectives. When we do this, we give all our power and attention to these imaginary ideas. In reality, this is simply a delay tactic. So how would you know if you were constructing false obstacles and giving away your power to them? Here are some ways this habit tends to manifest itself. All of these prerequisites are creations of your mind. You can go about dating just fine without getting a new job first. When you’re looking for a lifelong partner, you want to be with someone who will love you whether you’re 20 lbs lighter or weigh just what you do right now. Maybe you have the partner you want and that dream is well under control. Now you long for an exciting social life filled with fun, friends, and adventure. Getting out of the house on a regular basis seems like a great opportunity. So why don’t you? Perhaps you haven’t felt able to let go of the less fulfilling social relationships you have now. Maybe you spend all your energy on the belief that you’re not interesting and no one would want to be your friend. Are these ideas helping or hurting you? You might even give all your attention to relationships you’ve formed online or with TV characters on your favorite shows. Are these things part of your vision for your perfect social life? Perhaps your social life and partnership are just fine. Your goals now include a career that’s interesting and fulfilling, one that fills you with a sense of accomplishment and pride. You want to make a significant difference in the world. You want to feel excited, passionate, and motivated. But instead, you stay at a job you dislike in order to make ends meet. It’s amazing how much power bills have over us, when they’re just little pieces of paper with a few numbers typed on them. So many of us use our bills as an excuse not to find a career that we love. We devote our energy toward the belief that we can’t do what we want to do because we have bills to pay. So you’ve established that you do give away your power to obstacles you’ve created! What do you do now? Now you have all the key information to keep from giving your power away. Next time you’re thinking about how much you want to achieve your goals, listen closely for that voice that says, “But…” Then, use your positive self-talk power to tell yourself the truth. You are good enough. You are skinny enough. You are lovable (responsible, capable, motivated…). If you find that you have trouble talking back to the negative self-talk, there’s no shame in enlisting professionals to help out. Just locate my contact information on the blog page and call me for a free consultation. Ultimately, your goal is to use your power to benefit you, not to tear yourself down inside. Even if you just take the steps given above and never do anything else, you’ll find yourself closer to reaching your goals than ever before. Give your power to the things that mean the most to you. A life spent in this manner brings fulfillment and success. 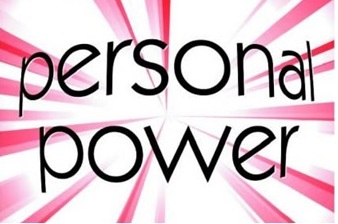 Once you have secured your power, do not let anyone or any circumstance move you off your positive square.